Tuscan Women Cook. Since 2000. 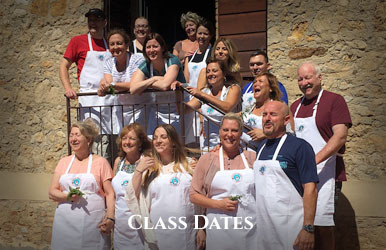 Have you ever wanted to learn to cook in Italy, to participate in Tuscan cooking classes? And return home with recipes handed down over generations and collected by us since 2000? 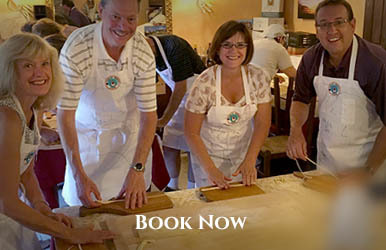 Then join one of our cooking vacations in Tuscany in the medieval town of Montefollonico. 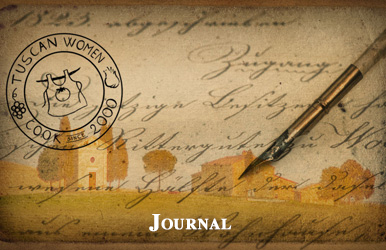 Tuscan Women Cook is the original total-immersion cooking school in Montefollonico since 2000. 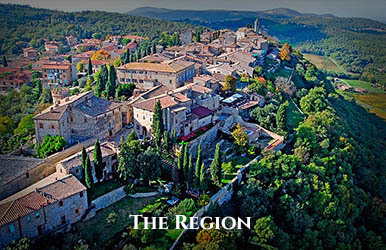 Indulge yourself in the Tuscan lifestyle and discover the region’s passion for food and wine. 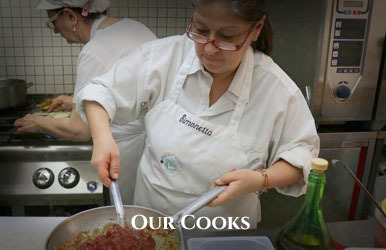 The best cooks in all of Tuscany, the local women, teach our classes. They’ll share regional techniques, ingredients, and family recipes that have been passed down over the centuries. Put on your apron, gather around the old farmhouse table, get wrist-deep in pasta dough and learn Tuscan cooking from the source. 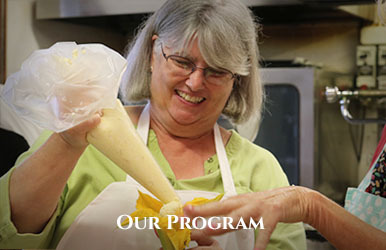 You’ll learn first-hand how to make gnocchi, tagliatelli, and pici—thick strings of handmade eggless pasta made originally in the area of Montefollonico. For wine lovers, we’re situated in the heart of Brunello de Montalcino and Vino Nobile di Montepulciano country, and border on the Chianti wine region. 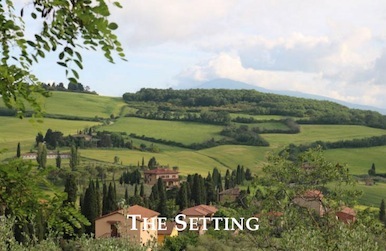 This is the center of the new Italian wine renaissance and a dream locale for your next getaway with family and friends. Wine connoisseurs plan the ultimate Bucket List trip here to sample new wines and visit the spectacular vineyards. 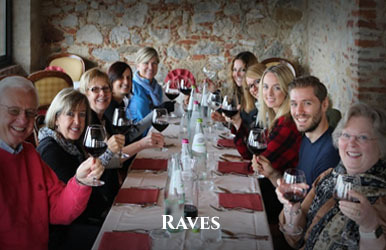 Tuscan Women Cook hosts Rhonda and Coleen will provide you with exclusive introductions to renowned Tuscan vintners and opportunities to purchase their award-winning wines for their personal cellars. Multi-generations of family members gather here with Tuscan Women Cook to raise a glass in celebration of family milestones such as anniversaries, birthdays, and retirement. We even had one family stage an impromptu wedding! 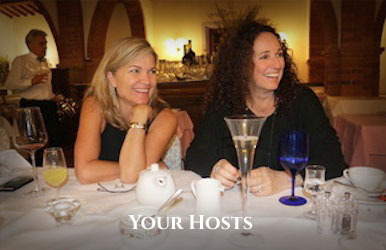 Tuscan Women Cook also hosts many girlfriend getaways, where friends gather together from across the world to enjoy fine wine, food, and friendship. Where better to bond than on a Tuscan cooking vacation? Rhonda and Coleen demonstrated how to make the popular Tuscan treat Cantucci on the WFLA-Tampa Daytime TV program on December 11, 2018. Watch it here and try the recipe. Cantucci, a special form of biscotti, make great holiday treats for friends and family. KTLA 5 Weekend Morning News welcomed Coleen and Rhonda to the show on August 25, 2018 to prepare a special Tuscan treat——Stuffed Zucchini Flowers. 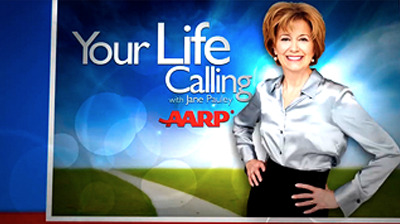 In case you missed the telecast, here’s the video . 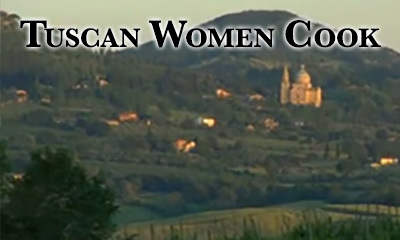 Wheel of Fortune, “America’s Game”, hosted a Girlfriend Getaways Week on October 26, 2017 and America’s Game Week on April 13, 2018 and Tuscan Women Cook joined in the fun! Teams competed to win an unforgettable all-expense paid week with Tuscan Women Cook in Montefollonico, Italy. We are thrilled to be offering a week in paradise to the winners.